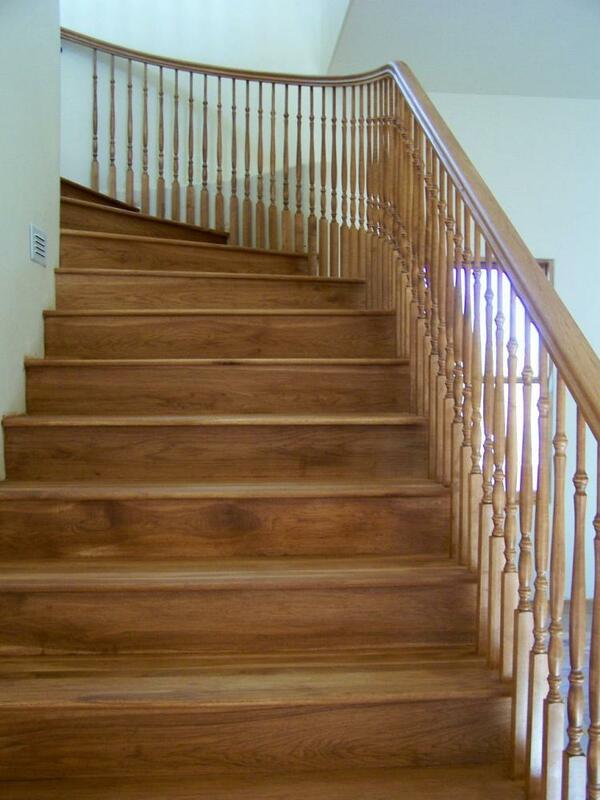 We have experience in fabricating and installing all types of wood stairways and railings. Numerous products and species to choose from, following are a few examples. 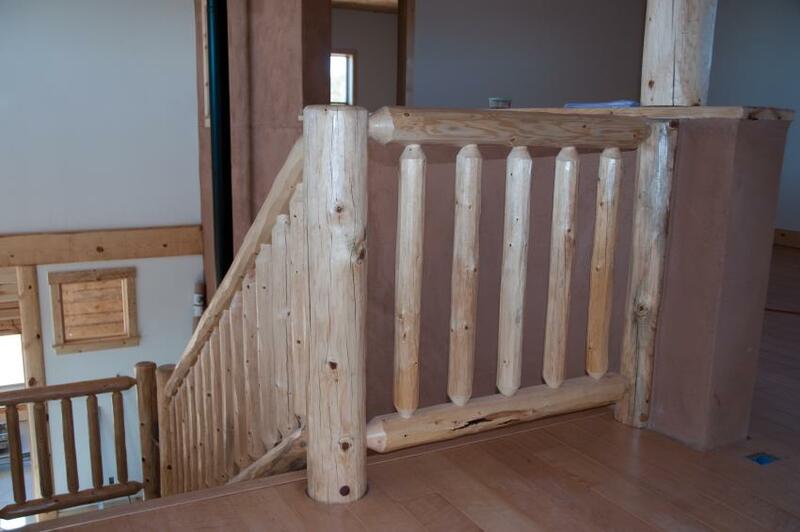 Pine 6" viga posts, 4" jumbo latilla handrail and 3" latilla balusters. mounted and a 2" diameter pine latilla wall rail was installed on closed side of stair for code purposes. Another example of the jumbo Pine latilla style railing~clear coat finish. This Cherry spiral staircase features fluted spindles and newel posts with handrail volute at stair entry. 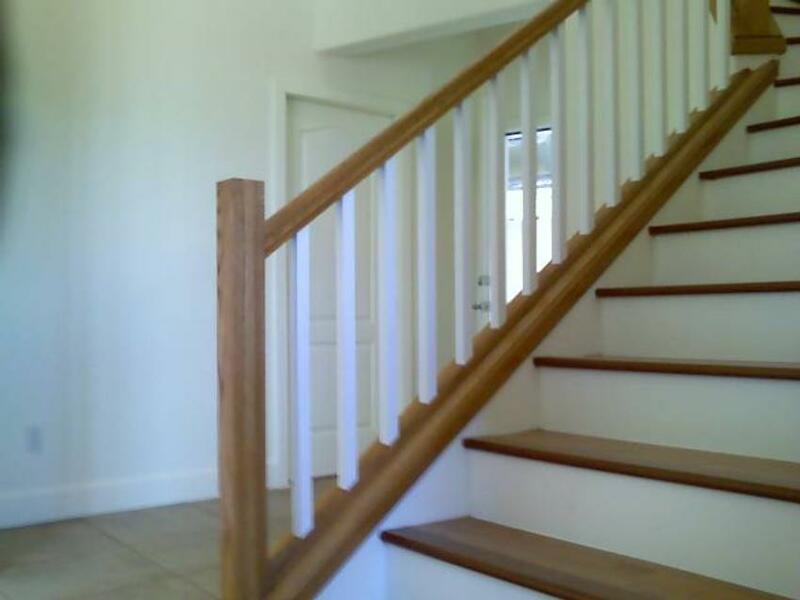 and shoe board with paint grade balusters, stair skirting and fascia board. 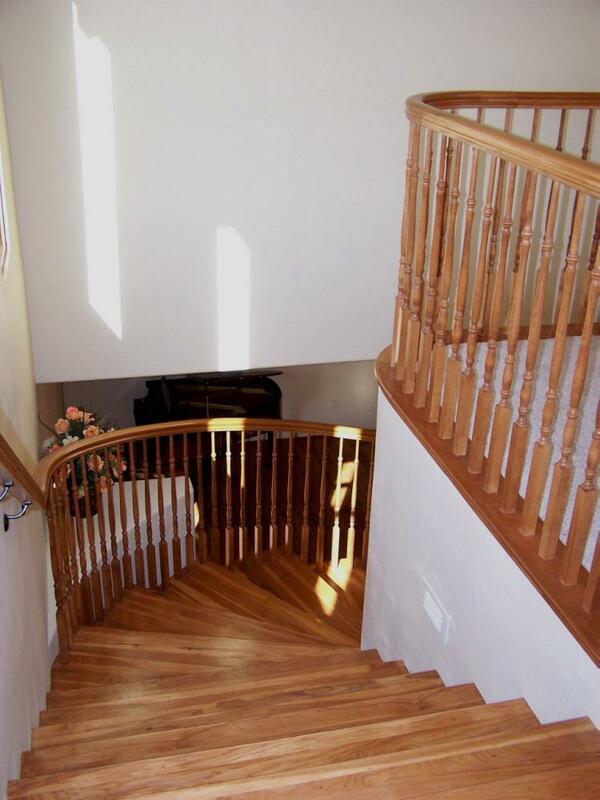 Stair features beautiful hickory treads and risers with latilla style handrail and wood brackets. Pine Latilla balustrade with 6" viga posts, 3" latilla handrail and 2" latilla balusters. on second level, 2" latilla handrail on stairway with 2" latilla baluster infill. handrail. Treads have mitered returns on open side of stairway. illustrating the continuous rail required by code. wall cap, shoe rail, and tread with paint grade balusters, skirting and risers.